Bring the iOS device up to record instead of looking down to your lap. The iOS device is very lightweight and there is no stylus to deal with so lose you old habit of leaving the device on your lap. 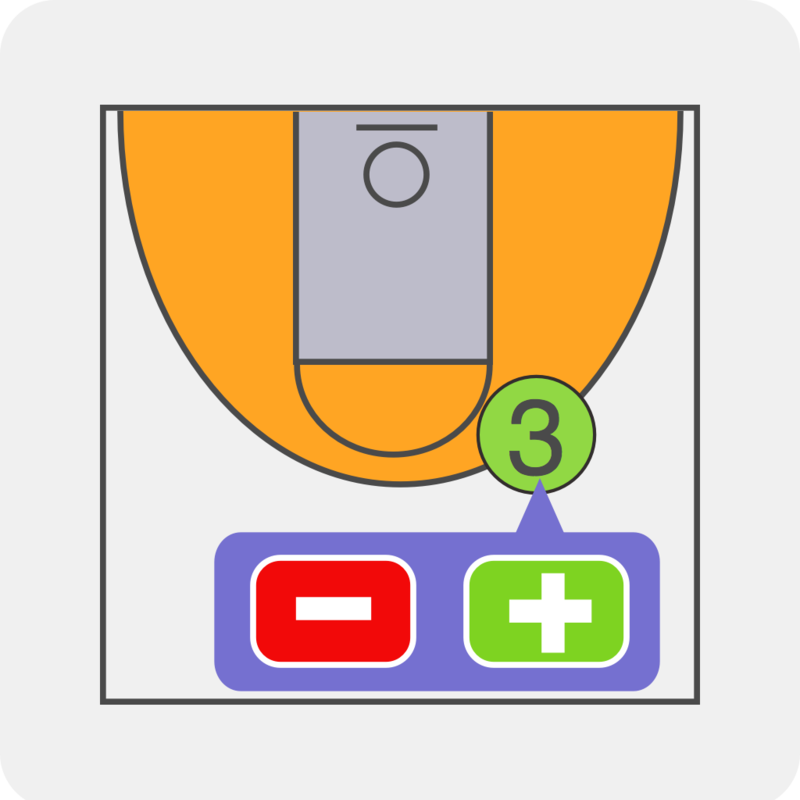 Elevate it up toward the bottom of your normal court vision window and your peripheral vision will help you keep track of what is going on in the game while you record the latest event.